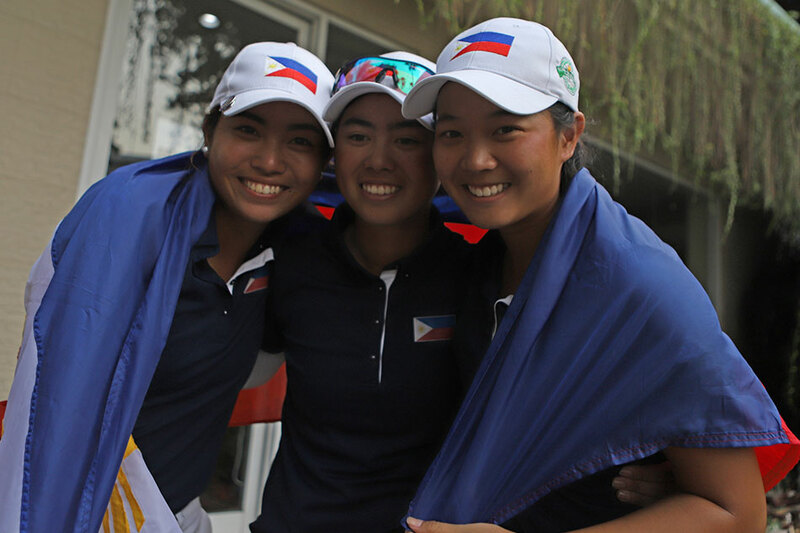 Three Pinay golfers brought a pleasant surprise for Philippine sports when they pulled off a impressive performance, giving the country two gold medals in the 2018 Asian Games in Jakarta on Sunday. Yuka Saso, Bianca Pagdanganan and Lois Kaye Go clinched the team title, Saso snared the individual championship, and Pagdanganan claimed a bronze in the most productive single-day outing for the Filipinos in the quadrennial event. Now basketball-crazy Filipino sports fans might view the trio as a product of overnight success. But Saso, Pagdanganan and Go have been busy perfecting their golf skills for years. 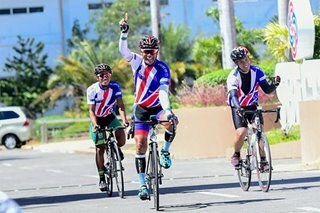 Their Asian Games victory was a culmination of all their efforts. The 17-year-old Filipino-Japanese hails from San Ildefonso, Bulacan. 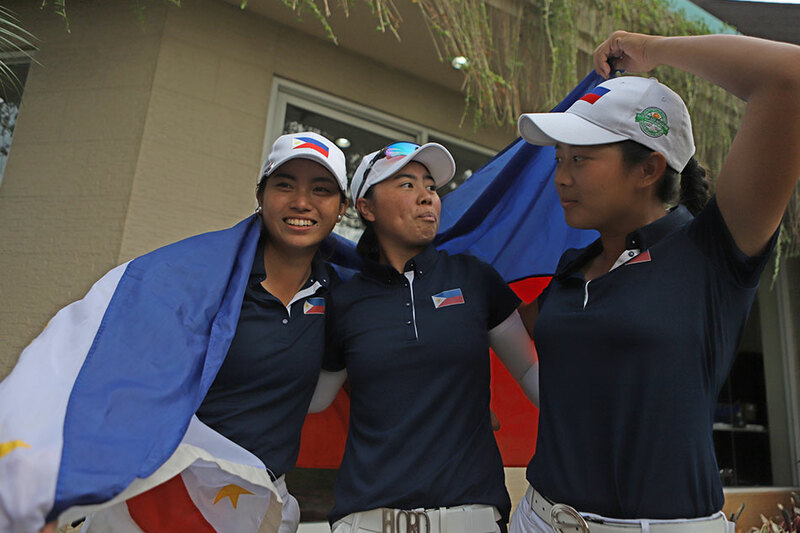 When she was 15, Saso led the Philippines to the World Junior Girls team title and also topped the individual standings at Mississaugua Golf and Country Club in Ontario. Saso crowned herself as the 2018 Philippine Ladies Open champion last January. In the same month, she also claimed the 2018 Victorian Junior Masters in Australia. Before plunging into Asian Games action, she earned her first American Junior Golf Association invitational victory at Thunderbird International Junior in the United States last June. The 20-year-old Pagdanganan is based in Tucson, Arizona and has been active in the US circuit for years. She competed in the Colonel Wollenberg's Ram Classic in 2016, the NCAA Albuquerque Regional in 2017, and the U.S. Women's Amateur Championship in 2018. Some of her biggest wins include a couple of holes-in-one at the 2017 Lady Thunderbird Invitational and the NCAA Women’s Championship last May. The Gonzaga University golfer also claimed the championship in the 55th Philippine Ladies Open in 2017. The 19-year-old Boston College junior is a native of Cebu. In 2017, she fired a final round 65 and claimed the Women’s Porter Cup in the US. She went on to win a bronze medal in the 2017 Southeast Asian Games a few months later. A few days before the Asian Games, Go captured the women’s title in the 13th Kuala Lumpur Amateur Open in the Kelab Golf Perkhidmatan Awam (KGPA) in Malaysia.